Deleter News | World - Sports - Politics | Tszyu, Moloney fights to be on ESPN+ on Sat. Tszyu, Moloney fights to be on ESPN+ on Sat. Junior middleweight Tim Tszyu and junior bantamweight Andrew Moloney, two of Australia's brightest up-and-comers, will have their next fights streamed live in the United States on ESPN+, the network announced Tuesday. They will each box in scheduled 10-round bouts Saturday (ESPN+, 7 a.m. ET) at Bendigo Stadium in Bendigo, Australia. Tszyu (10-0, 8 KOs), 23, the son of Hall of Fame former undisputed junior welterweight world champion Kostya Tszyu, will take on Marcos Jesus Cornejo (19-3, 18 KOs), 37, of Argentina, who has who lost two fights in a row, in the main event. Tszyu's last fight, on Aug. 3, was also streamed on ESPN+ on the undercard of the Tevin Farmer-Billy Dib junior lightweight world title fight. 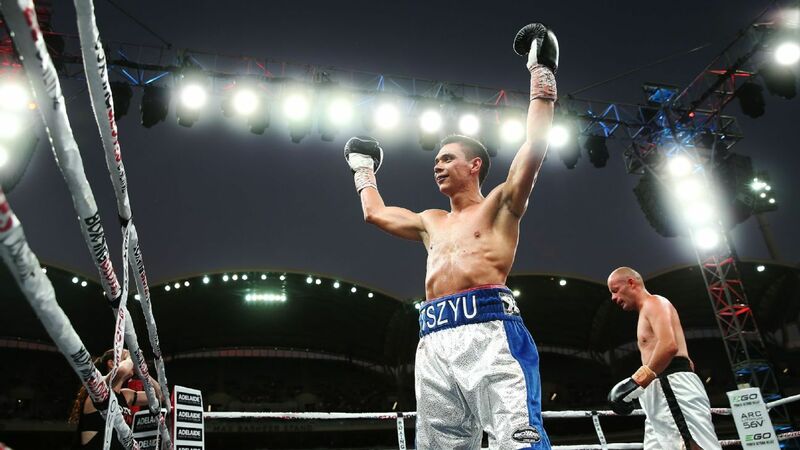 Tszyu impressed as he knocked out Stevie Ongen Ferdinandus in the first round. In the co-feature, Moloney (17-0, 10 KOs), 27, who is closing in on a world title opportunity, will face former junior bantamweight world titlist Luis Concepcion (37-6, 26 KOs), 32, of Panama. "I know people say this all the time, but this really has been the best training camp of my career," said Moloney, the twin brother of bantamweight contender Jason Moloney. "My coach, Angelo Hyder, and I have watched a lot of Concepcion's fights and have put together a great plan for this fight. Concepcion applies a lot of pressure on his opponents and throws a lot of punches. We realize that I need to be extremely fit for this fight, and that is why I am training so hard." Concepcion, who is 2-2 in his past four bouts, lost his world title on the scale when he was overweight for a defense against Kal Yafai in December 2016. The fight went ahead, and Concepcion lost a wide unanimous decision as Yafai claimed the vacant title. Concepcion is coming off a second-round knockout of Luis Carrillo 11 months ago. "I want to show everyone what level I am at by beating Concepcion, and then we will set our sights on Yafai next," said Moloney, the 2017 Australian prospect of the year. "After 17 fights as a professional, I feel as though I have done my apprenticeship, and I'm now ready to take on the best in the division. It's no secret that I want my shot at Yafai. We offered all the fighters ranked above me the fight, but they declined, so I am very happy to be fighting the former champion in Luis Concepcion." Concepcion believes his experience will help lead him to victory. "My rival is undefeated, but by reviewing his record, he has not had the same opposition that I have faced in my career," Concepcion said. "I already studied it, and we know what we are going to do in Australia. I'm motivated to win the fight and seek to crown myself again. The winner will be right in the mix for the world title opportunity and will make an excellent match with fight of the year written all over it."